I frequently get the question “How to I back up my BeerSmith files?” So this week I’m going to take a look at some of the facilities for backing up and recovering data in BeerSmith. For BeerSmith desktop your files are all stored under the directory Documents/BeerSmith2 for your main user account on both Windows and Mac (~/.BeerSmith2 for Linux). So if you use some kind of backup software for your PC or Mac, I would highly recommend you include that directory as part of your regular backup. As a side note, I do recommend using some kind of regular automated backup software for your computer – either a local backup to a separate hard drive or an online backup solution. Some of the online solutions are very attractive (Mozy, Carbonite, etc…) as they will back up your documents automatically to an offsite location in case your computer is stolen or destroyed. I moved to an online backup myself after losing my main hard drive several years ago. I regularly get emails from people who have either lost their computer or had a catastrophic hardware failure and have no backup – which is a disaster. If you have a complete copy of your Documents/BeerSmith2 directory, recovery to a new computer can be pretty simple. 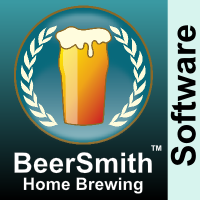 Install BeerSmith, make sure its closed, and copy your backup to Documents/BeerSmith2. Then just start up BeerSmth and it will pick up your data. You may need to re-enter your key in some cases. A backup of your Documents/BeerSmith2 folder will protect you from catastrophic failures, but what about the simpler case of an accidentally deleted recipe? The first line of defense is the Undo button – which will undo the last action taken. However, this will only work within a session and won’t undo if you deleted a recipe and closed BeerSmith afterwards. However, within BeerSmith 2.2 and higher there is a view called the Recipe Archive that keeps all of the edits to your recipes. You can get to it using the View->Recipe Archive command on the menu. From this view you can use the search bar to search for recipe names and it will show all of the versions of that recipe with the date it was edited. You can view any of these recipes by double clicking on them and then copy the old version back to a local folder using the Copy Local command on the toolbar. BeerSmith also keeps backup files automatically for your profiles and ingredient databases. These are found in numbered files such as Hops1.bsmx, Hops2.bsmx, etc… within the Documents/BeerSmith2 folder. The lower numbered files are the more recent backups. You can use File->Open to view these files and if you want to restore some hops you deleted, just copy/paste that hops from the open file back into your Ingredients->Hops view. This works with both ingredients and profiles like your equipment profiles or even recipes (Recipe1.bsmx, etc…) if you need to bulk restore recipes. Just remember to use File->Open to open these numbered files, select the data you want to restore and use the Copy/Paste to paste items back into the views you want them in (My Reciepes, Ingredient or Profile views) which will store them permanently. I don’t recommend making changes to the numbered files themselves, just open them to copy/paste your data and then close those files. So those are some tips on backing up and restoring your BeerSmith data. If you have a catastropic failure you can always drop me an email on the support page and I’ll do all I can to help! For those that take advantage of iCloud storage, e.g. I have my beersmith documents directory directed to iCloud, it would be good if you allowed those that use beersmith on iOS to change their document directory in the program to use the iCloud storage directory on their device. How can I delete all the pricing for Beersmith 2? When I add a grain,hop or anything I want the default to show no pricing, then moving forward if I see a price I know I have entered it.